Linea Earrings with tourmaline are magnificent. 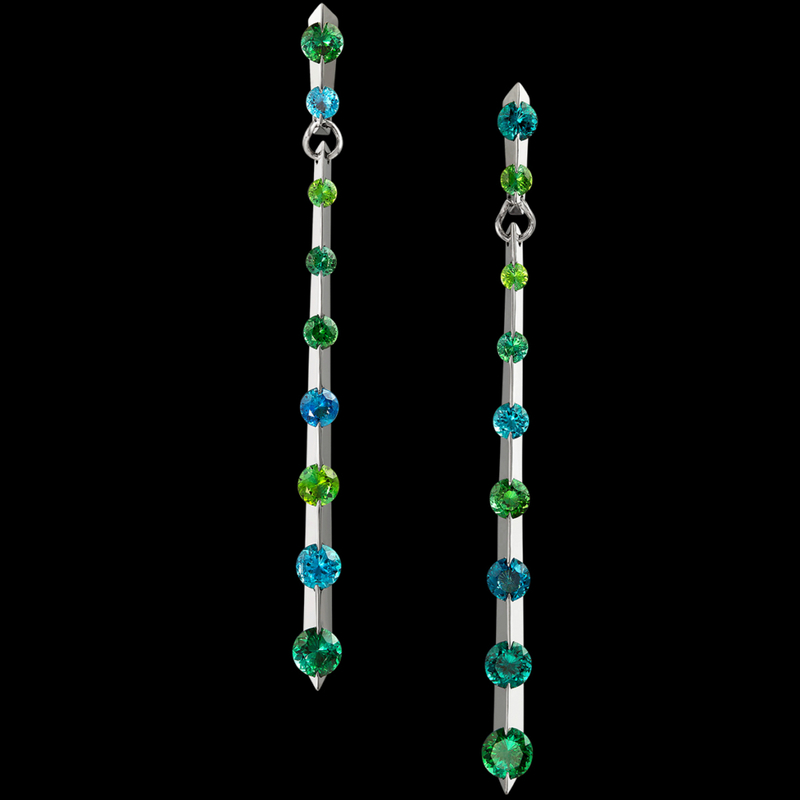 These dramatically elegant earrings feature blue and green tourmaline set in 14kt white gold. Call (949) 715-0953 to purchase or click below for additional information.